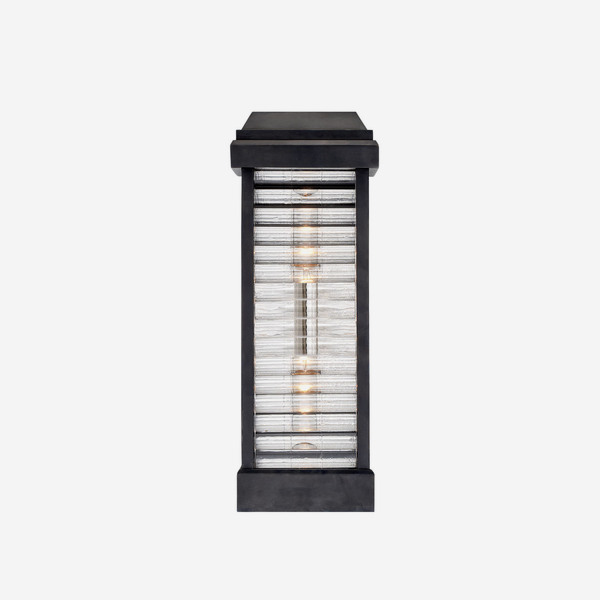 A smart wall light in black bronze with a ribbed glass front panel, like a traditional street lamp. Dunmore was designed by lighting icon E.F. Chapman. It adds soft lighting to a hallway or living room.